On August 6 “The Advisory Panel on the History of the 20th Century and on Japan’s Role and World Order in the 21st Century” submitted its report to Prime Minister Abe Shinzo. Abe established this panel in February to provide input for his forthcoming statement commemorating the 70th anniversary of Japan’s wartime defeat. At the Advisory Panel press conference, members insisted that it is entirely up to Abe whether or not to apologize as his predecessors did in 1995 and 2005. All signs are that Abe will not say what needs to be said because he seeks to end what revisionists deride as Japan’s apology diplomacy and masochistic history. Much is riding on what Abe says, and doesn’t say, as South Korea and China are especially sensitive to any perceived backsliding on Japan’s war responsibility and contrition. 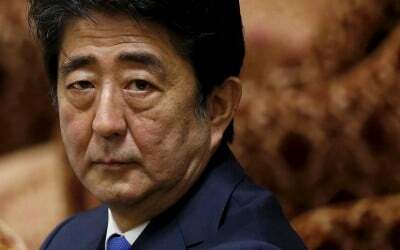 Japan finds itself isolated in East Asia over this history of colonial rule and imperial aggression and there are concerns among Japan’s neighbors that Abe’s rigid revisionist agenda will lead him to downplay Japan’s misdeeds. Curiously, the panel could not come to a consensus about whether in fact Japan’s actions constituted aggression, and thus the report includes a footnote that states: 1) the definition of “aggression” has not been established under international law; 2) there is objection from a historical perspective to stating that the series of events from the Manchurian Incident onward constituted “aggression”; and 3) there is a sense of reluctance towards stating that only the actions of Japan constituted “aggression” while other countries were taking similar actions. Seoul has the most to object to in this report. There is a churlishly condescending tone toward Korean criticism of Japan’s desultory reckoning of colonial subjugation of the peninsula 1910-45, with repeated assertions that South Korean leaders have been too emotional and irrational. Japan emerges as blameless in provoking contemporary Korean antagonism over this shared past. President Park Geun-hye is lambasted for her hard-line views on history, but the panel shies from probing Abe’s inflammatory views on history and how these have undermined Japan’s regional relations. At the press conference, members argued that assessing Abe’s views was not part of the panel’s remit, but they did not hesitate to disparage current Chinese or Korean views on the shared past. The Advisory Panel contends that Japan’s failure to achieve reconciliation with regional victims is not really Tokyo’s fault. Japan is often invidiously compared to Germany in terms of forthrightly facing the past and thereby achieving reconciliation, but the report contends that this was because Germany’s victims magnanimously responded “with a heart of tolerance”. But of course it is easier to be magnanimous, tolerant and future oriented when the perpetrator is not denying, downplaying, diluting, and otherwise shifting blame and responsibility, or glorifying and valorizing the wartime past, as well as resisting official compensation to victims, as Japan’s revisionists continually do. The report asks what are the differences in how victims in Europe and Asia have embraced reconciliation without probing the differences between the perpetrators’ stance on war responsibility, i.e. Germany’s unequivocal acceptance versus Japan’s incomplete, grudging approach. In lavish understatement, the report concludes that, “it cannot be said that reconciliation with China and the Republic of Korea has been fully achieved.” Going forward requires “remorse over the past and reclosing the buttons done up incorrectly in the past.” But those buttons have proven quite tricky given the revisionists’ fumbling fingers. The public, however, has deep reservations not only about Abe’s aggressive tactics in forcing it through the Diet but also about the fact that Abe has been evasive in explaining under what circumstances Japan’s Self-Defense Forces might be dispatched overseas. Many Japanese are fearful that Japan will be dragged into war at Washington’s behest, taking to the streets to voice their opposition and staging mass anti-Abe rallies. Moreover, there is a consensus among constitutional scholars that the laws are unconstitutional. The public worries that Abe is seeking to bypass Article 9 of the constitution that imposes constraints on Japan’s military, a key proviso that is embraced as a touchstone of national identity and symbol of pacifism. The release of the report on August 6 is curious since it coincided with ceremonies commemorating the atomic bombing of Hiroshima, a day that reminds Japanese about the folly of war and the disastrous consequences of reckless leaders operating without constraints. Jeff Kingston is the Director of Asian Studies, Temple University Japan. He is the editor of Natural Disaster and Nuclear Crisis in Japan: Response and Recovery after Japan’s 3/11, Routledge 2012 and Critical Issues in Contemporary Japan, Routledge 2014 and Asian Nationalism Reconsidered (Routledge 2015), and author of Contemporary Japan. (2nd edition),Wiley 2013 and Asian Nationalism Since 1945 (Wiley 2016).